Sign up with your email address to receive news and updates about classes and more. 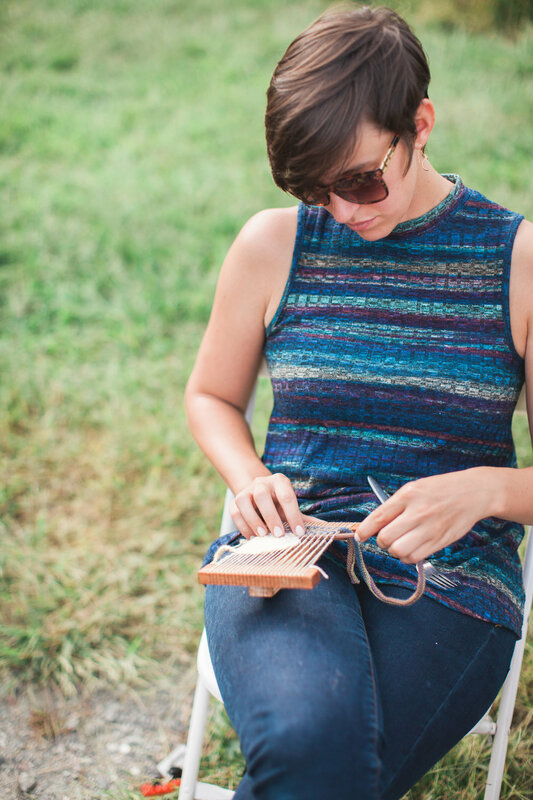 You’ll receive a newsletter full of weaving news around every month or so. Thank you! Be guided through your first weaving project on a multi-shaft floor loom. Learn about warping, threading the loom, sett, and basic weaving structures. 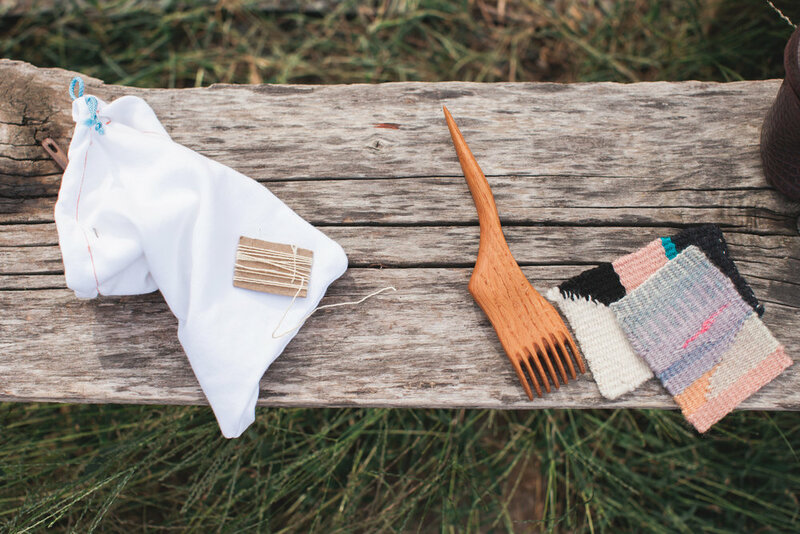 Play on the loom in this intuitive approach to creating fabric. 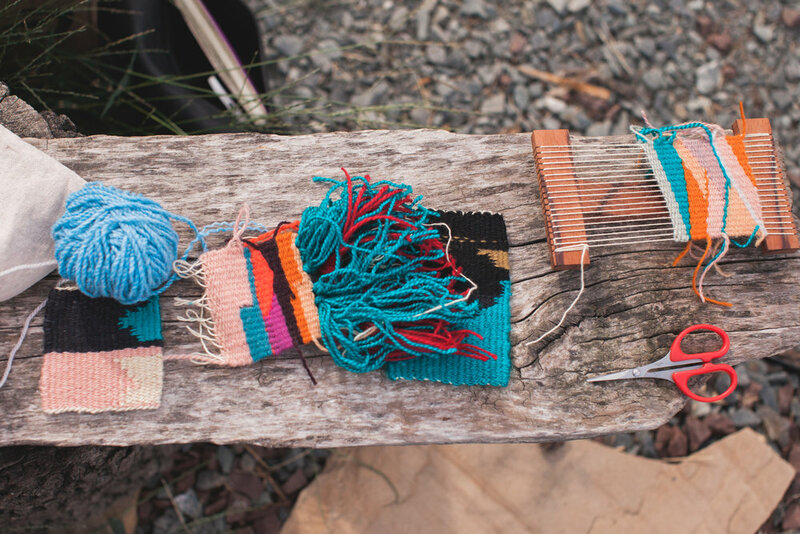 Learn about supplementary weft (also known as inlay) to create projects that experiment with color, texture, and image. This technique creates a fabric that has a front and a back. 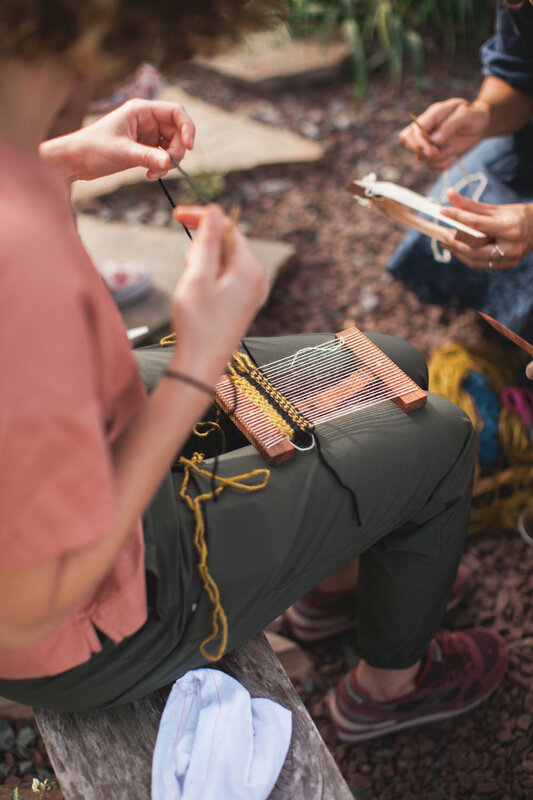 Participants will learn how to calculate warp and weft needs, and set up an eight shaft loom in a straight draw pattern.Beginner friendly/no experience required. See examples of this technique under work>supplementary weft! Just bought a loom and feel lost? I offer private lessons— get in touch to get weaving. January 2018 | We returned to Trohv, the best-smelling store in Baltimore, and explored loops and shapes. 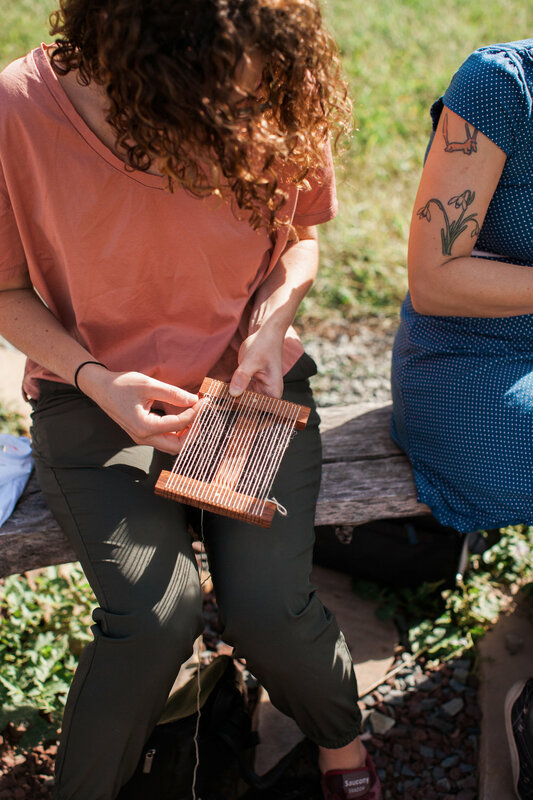 December 2017 | In this four-session course, students built their own tapestry loom out of wood and then learned how to warp and weave. September 2017 | We explored building shapes and playing with color in Trohv's cozy workshop space. June 2017 | With Wax & Wane Fiber, we dyed cotton blue with magical indigo and made macrame wall hangings. 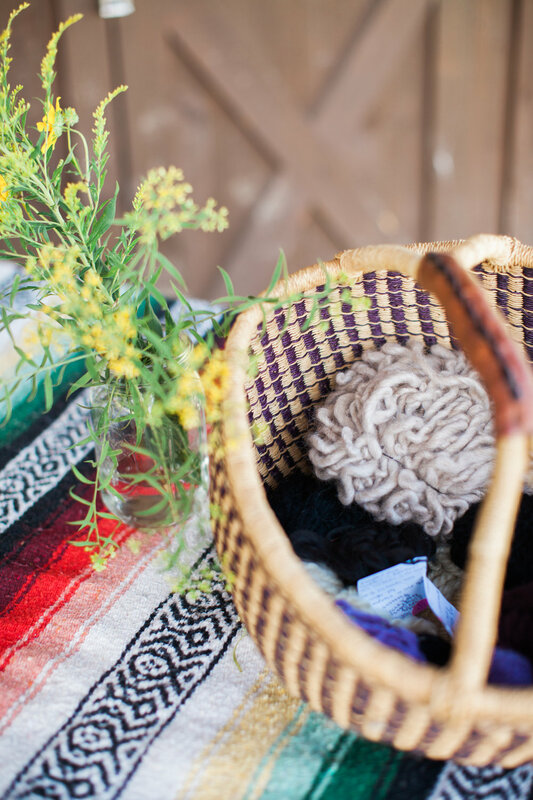 September 2016 | With Make Tribe, we learned the basics of tapestry weaving in a glorious field at Irvine Nature Center.